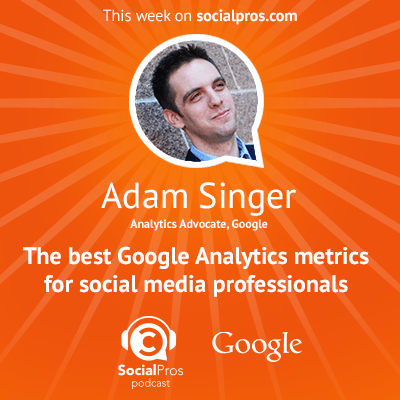 The Social Pros Podcast is always a mishmash of the greatest minds working in social media today. June’s guests included Groupon, the daily deals masters; entrepreneur and author Peter Shankman; a representative from Google Analytics; and natural foods store Sprouts Farmers Market. Sometimes in a given month, the Pros end up focusing on certain themes. In June, it was all about keeping things local. Whether it’s hiring a “city planner” to drive hyper-local content in a particular area, making sure that listening is in place to manage social customer service efficiently, or translating passion for a brand into local marketing, June’s Social Pros are tuned into the impact that local social media can have on their marketing plans. Read on for the highlights of how these Pros maintain a local feel for their brands, even when the companies are national or global. Groupon has to operate on two levels at once: local and global. 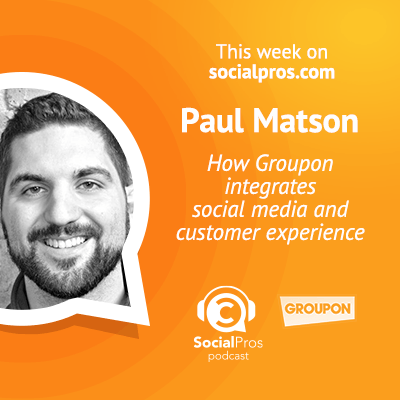 On the one hand, Paul and his team have to manage the global brand and its strategy, and on the other, they have to consistently create compelling content for Groupon’s many localities around the world. His team is structured in such a way that “City Planners” are responsible for creating hyper-relevant content for local markets. They are tuned into the individual places and can guide writers on tone and content. Community managers optimize the content and push it out to multiple channels, both local and global. All of the teams follow “one playbook” to maintain a consistent tone across localities, countries, and global regions. How do we operate on the global level while still remaining as relevant as possible at a hyper-local level? The challenge has been maintaining Groupon’s fun tone in communications while scaling up to include cities around the world. The “one playbook” mindset has been essential for keeping 100 employees globally who participate in social all on the same page. It gives them enough flexibility to respond in real time to local trends while also maintaining a consistent corporate brand across all 174 Twitter handles. Sharing the job of social media monitoring and content management can be overwhelming for any brand who’s trying to scale up. Groupon is doing a good job of expanding quickly but still maintaining their core message. 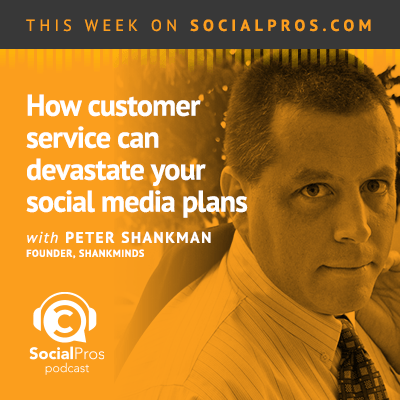 Peter Shankman knows good customer service when he sees it. Good customer service, he points out, is service that solves problems, not service that commiserates. And increasingly, good customer service means social customer service. But again, the social customer service only works if the employees running your social accounts are empowered to solve problems. It doesn’t “count” as social customer service if you are responding to tweets saying you’re sorry and asking them to email support@yourwebsite.com. You need to be solving problems in real time. The great thing about this is that people’s expectations for customer service will be low as long as the level of service they receive is low. This gives your brand the opportunity to differentiate itself through excellent social customer service. If you can meet and exceed expectations with a single interaction, you’ll have a faithful customer for life. You have to be transparent. Customers have the ability to price-compare and shop anywhere with mobile technology and overnight delivery. This means that if they have a bad experience with you, there is no reason to ever use your product or service again. But a bad experience can also be an open door for your team to swoop in and fix the problem, which could turn that customer into a fan for life. So focus on the “help” first, even before you worry about content marketing. If you do it right, your customers will amplify and do that marketing for you because they want to share their positive experiences. Adam encourages everyone to get really comfortable with analytics. Working for an agency, Adam had to track billable hours. He got in the habit of doing that and then also hopefully tying the time spent to actual outcomes. He has brought that experience with him to his team at Google. If you’re an email marketer, for example, and you can tie your work to measurable outcomes and how well a strategy is working, then you’ll be able to get more budget for future endeavors. When tracking these things, especially in the social sphere, it’s important to distinguish micro-conversions from macro-conversions. A good micro-conversion would be a potential customer viewing a blog post, downloading a video, or visiting a specific part of your website. If you’re a B2C fashion designer and trying to get people interested in a specific line of clothes, your micro-conversions would be when you successfully drive traffic to that part of your site from social. Become known for something that’s not social media. A macro-conversion is, of course, when one of those customers finally makes a purchase. But if you’re only tracking your macro-conversions, then you’re missing an important part of the picture. How can you improve your funnel to get more people to buy? You don’t know because you don’t have an intimate understanding of what’s going into each purchase. Adam recommends figuring out what you want people to do on your website, and then assign values to those tasks. This will help you qualify your social visitors and their actions, and then you can better determine where to spend your time, money, and effort. Sprouts will open up 25 new stores this year, many of which are in entirely new regions. The healthy grocery store has the feel of an old farmers market inside every location, with wooden crates and bins full of produce and snacks available in bulk by the scoop. Dana’s challenge has been to use social to spur interest in the new regions where the store is opening. How does she get the excited customers in Arizona to share their passion for Sprouts with the prospective customers in Georgia? Using Facebook events, Dana can drum up support and spark interesting surrounding the new stores on the national Facebook page. “We decided was to go out on a limb and test out opening a new Facebook page for each grand opening store.” This allows them to deliver hyper-local content to each individual market. Things are constantly changing as we grow. 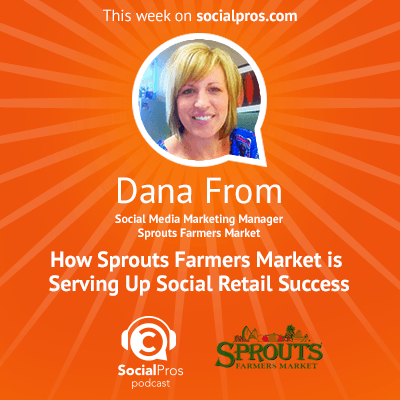 “There is a lot of curiosity around Sprouts and what we are,” Dana says. Leading up to the grand opening of a store, her team stokes that curiosity with their Sprouts Love Expansion campaign. Using beautifully packaged visuals and video, her team shares some of the comments they’ve gotten over the years about how people have fallen in love with Sprouts. Jess Ostroff is Managing Editor at Convince & Convert. She also acts as Director of Calm for the new virtual social media assistant agency, Don’t Panic Management. You can find her tweeting about social media, martinis, and music as @jessostroff.